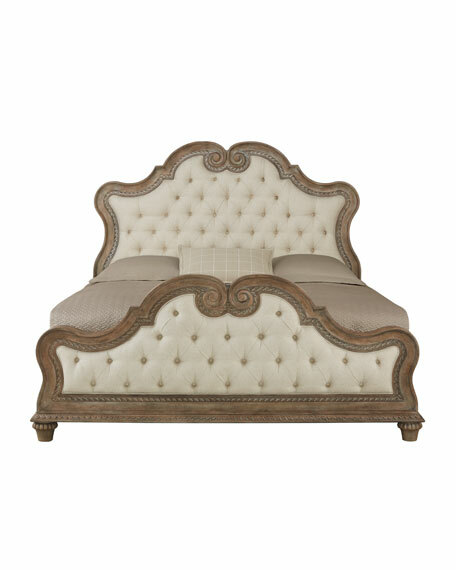 Bed made of pecky pecan veneers and select solids. Upholstered head and foot panels with button tufting. 70"W x 91"L x 70"T.
Boxed weight, approximately 342 lbs.